We’re about 125 miles from the island of Hiva Oa. We should arrive sometime tomorrow, depending on the wind. Right now, it is light and from a less than ideal direction so we’re having to head more north than we’d like, which mean more miles. But the seas are calm and we’re having a nice downwind sail on a beautiful afternoon. We’re in a wing-on-wing configuration with the mainsail out on the port side of the boat and the jib poled out on the starboard side. 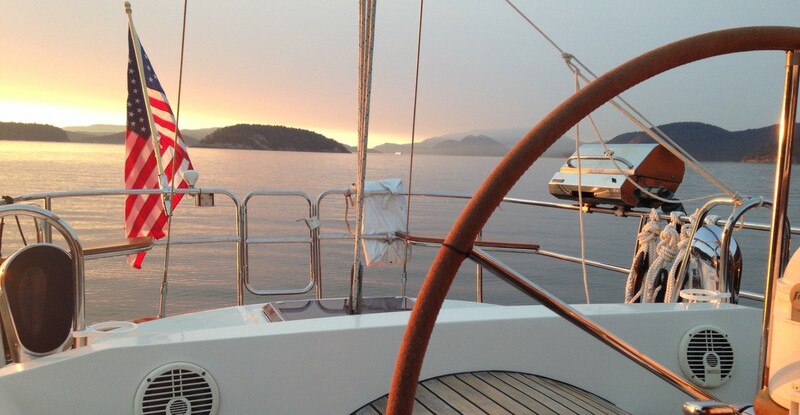 This allows us to sail with the wind right on our tail and make up several degrees of angle toward our destination. Hopefully tomorrow’s update will be the last before we make landfall. Stay tuned! Can’t wait for more updates. Congrats on a successful crossing… despite getting tossed around so much.